Cloudy. High 61F. Winds SSE at 5 to 10 mph.. Specialist Jay Woods is reflected in a screen at his post on the floor of the New York Stock Exchange that shows five years of the Dow Jones industrial average. For investors, 2018 ended on a rather somber note. After reaching an all-time high of 26,828 on Oct. 3, in less than three months, the Dow Jones Industrial Average (DJIA) proceeded to fall 5,036 points — almost 19 percent — to close on Dec. 24 at just 21,792. Yes, Merry Christmas. Fortunately, since that Christmas Eve lump of coal, the stock markets have surged. From Dec. 24 to the close of the market on Thursday at 25,850, the DJIA has gained 4,058 points — just 978 points off the Oct. 3 record high. There are a number of contributing factors to the brutal Oct. 3-Dec. 24 sell-off. Since the beginning of 2018, the broader global economy has shown continued signs of fatigue, specifically in Europe and China. The ongoing U.S.-China trade dispute, approaching its one-year anniversary, also weighs heavily on both U.S. and global economic growth. The U.S. and China are the No. 1 and No. 2 largest economies in the world, respectively. Combined, these two economic behemoths account for more than 40 percent of the world’s total economic growth. Yes, this dispute hurts both the U.S. and China, but its impact reverberates across the world’s other economies. Perhaps the greatest factor has come at the hands of the U.S. Federal Reserve. Over the past two years, the Fed has enacted seven interest rate hikes, including four in 2018. The Fed raises interest rates to increase the cost of borrowing for consumers and businesses which inherently reduces spending. This, in effect, gently taps the brakes on economic growth which prevents the economy from overheating and consumer prices from skyrocketing. In the fourth quarter, the Fed escalated its rhetoric of a gradually weakening U.S. economy yet reaffirmed an aggressive agenda of future interest rate hikes into 2019 and 2020. With the U.S. economy already facing headwinds of a weakening global economy and the U.S.-China trade dispute, the markets viewed further rate hikes as unnecessary, risking further damage to the U.S. economy. And the markets expressed that concern with a near three-month 19 percent sell-off of the DJIA. So, what is the key driver behind the current stock market rally? After witnessing the year-end fallout in the stock market — much of it derived from its advocacy for further interest rate hikes — the Fed suddenly changed its tone. Going forward, the Fed would now take a more patient, wait-and-see approach to future rate hikes. And in this change of tone, a stock market rally was born. For the markets, concern the Fed would further derail U.S. economic growth was suddenly diminished. 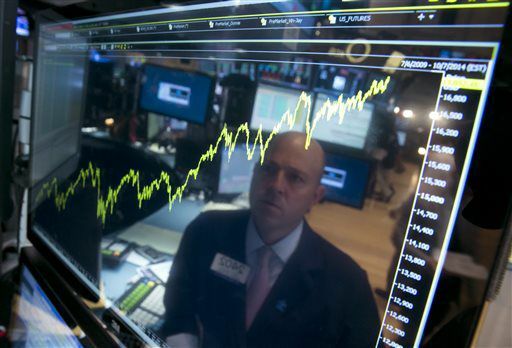 In fact, it helped propel the DJIA to its strongest January gain in 30 years. This abrupt change to the Fed’s rate hike policy was reinforced on Wednesday, with the release of the minutes from its January meeting. Within this 21-page commentary of internal discussions, the Fed affirmed it would “be patient” in determining future rate hikes. For the markets, the implication was significant — the Fed’s aggressive agenda of interest rate hikes that placed undue strain on the U.S. economy had been tabled. For now, at least. A moderated rate hike agenda is not a sure-fire trigger to greener economic pastures, but it certainly helps. And the recent 4,058-point surge in the DJIA reflects that. The U.S. economy is still expected to grow in 2019, albeit at a slightly slower pace than last year. This slower pace must still bear the impact of a weaker global economy and potential escalation in the U.S.-China trade dispute on March 1, the end of President Trump’s 90-day truce. But for now, at least, the markets consider a more patient Fed a victory, and one less obstacle to future economic growth.